In her role, Archana is responsible for managing research for the Myntra Corporate and Fashion Brands portfolio working closely with various categories and brands to generate insights to aid these brands in making informed strategic and marketing decisions. She brings with her over seven years of diverse experience in consumer, brand, communication & technology led researches. In her previous role as VP (South) with MRSS India, she was responsible for building the business and managing projects for South India onboarding key clients like Curefit, Flipkart, Maiyas, iRobot, Treebo. During her tenure here, she has developed an understanding and worked on new age research techniques like eye tracking, facial decoding and online communities. 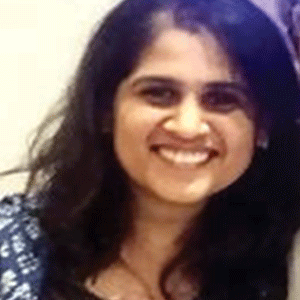 Prior to joining MRSS, Archana worked as Insights Director for the Stakeholder Management Division of Kantar – IMRB. Her stint saw her winning and managing clients like Tata Steel, Sab Miller, Lifestyle, Reliance Retail, Titan Eye Plus to name a few. Her paper on teen category research was selected for presentation at IIex Latam 2017, Buenos Aires. She has also presented at MRSI 2018 on behalf of her team. Archana is an MBA from Mudra Institute of Communications, Ahmedabad (MICA) and an engineering graduate from Anna University, Chennai.